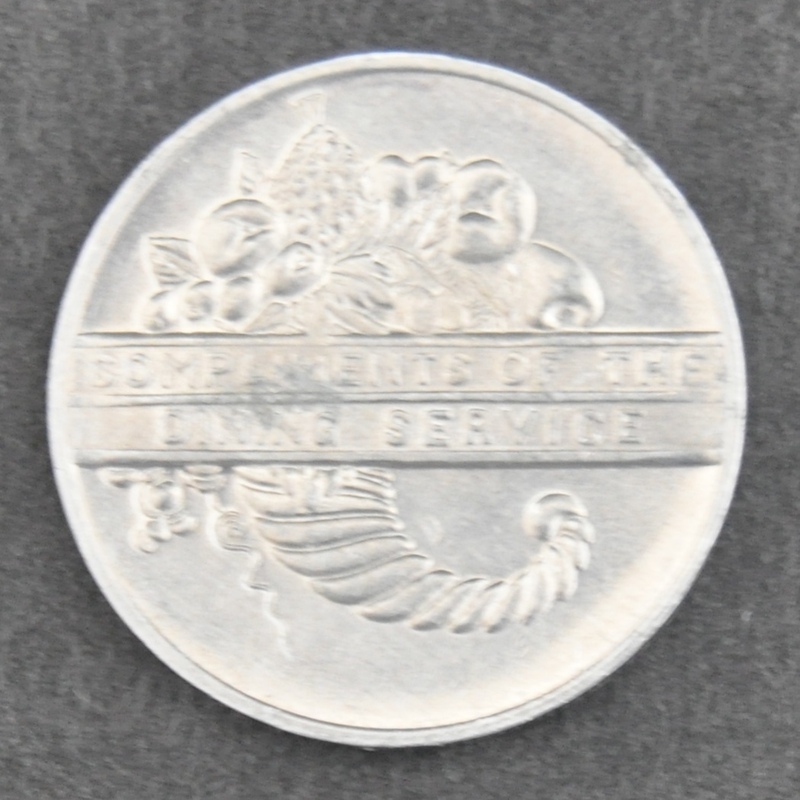 Description New York, New Haven and Hartford (NYNH&H) Railroad Aluminum Dining Car Service Token given to passengers during the late 1930s and early 1940s with their change. 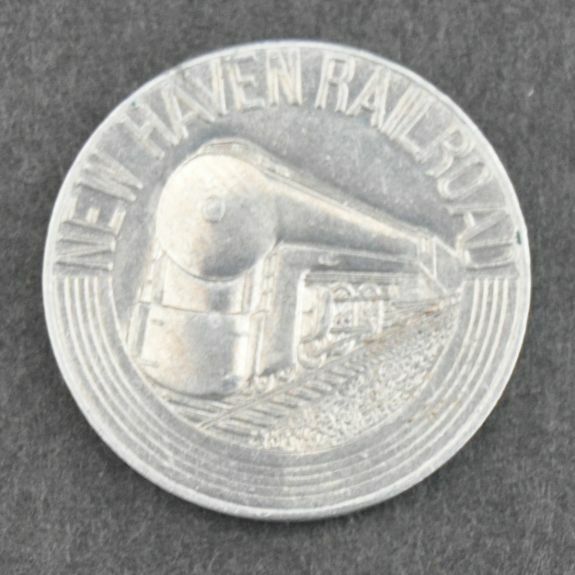 These tokens were produced to promote the new Baldwin I-5 locomotives and the improved food service on the New Haven. Every passenger was given one along with their change and could exchange it for a free cup of coffee on the New Haven Railroad.